A statue from our brief visit to Thetford yesterday. The British sitcom “ Dad’s Army” was filmed in Thetford for quite a number of years. 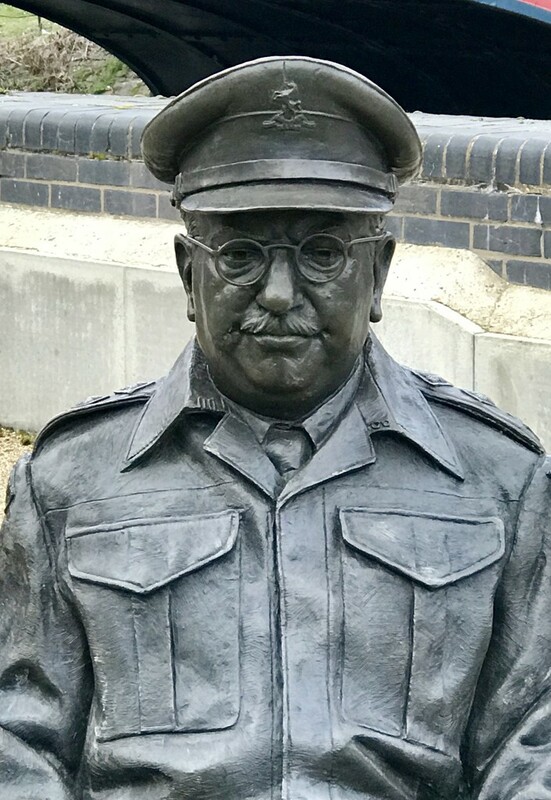 This statue of the character Captain Mainwaring, First time I have seen this, but it has been there since 2010! @30pics4jackiesdiamond it is, but I would say it could do with a respray! @carole_sandford like the town, I was shocked how run down it was when I last visited 3 or so years ago. Loved Captain Mainwaring! Loved all of them. Haven’t been in Thetford for over 30 years but must go back. Would love to see this statue and the museum. I was in Thetford last Wednesday didn't realise they had this sculpture. I might have a look next time I'm there. @rjb71 it is next to the river not far away from the green three pronged bridge & butten island. @30pics4jackiesdiamond agree! We couldn’t believe it! You were over my way! My Mum lives in Thetford and the town has definitely gone down hill over the years. What a life like statue - a great find and capture ! So good that he has been remembered.